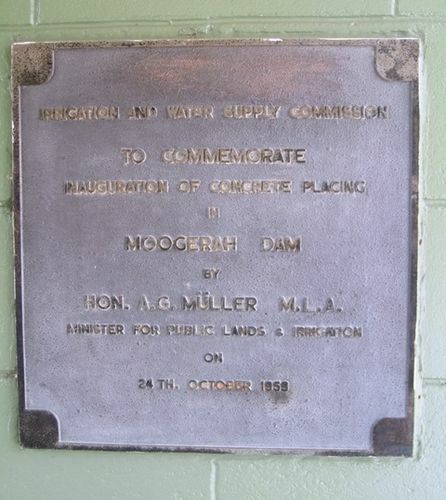 A plaque commemorates the inauguration of concrete placing in the Moogerah Dam. Hon. A. G. Müller M.L.A.